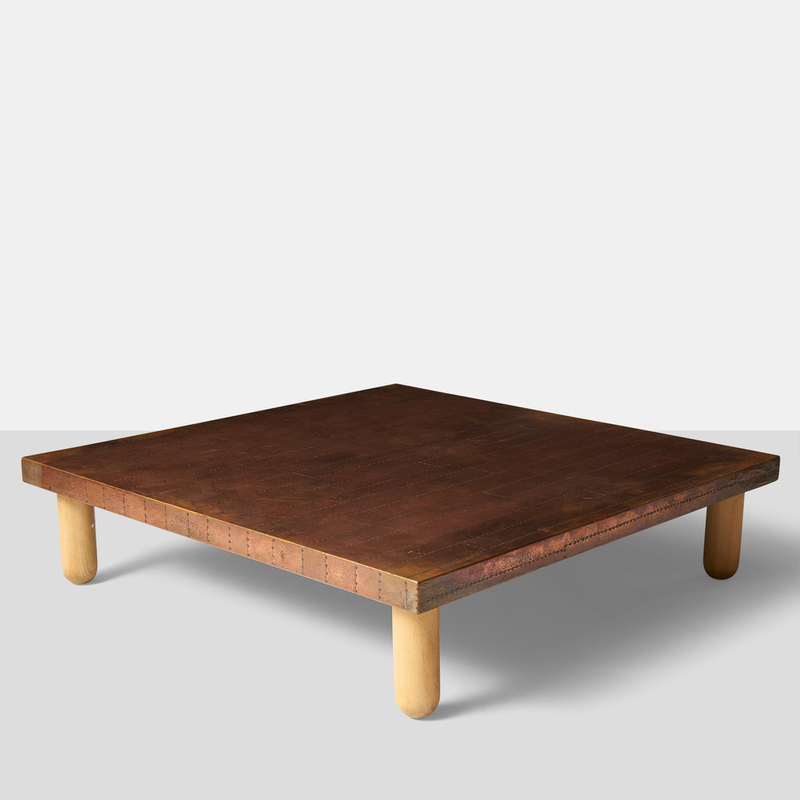 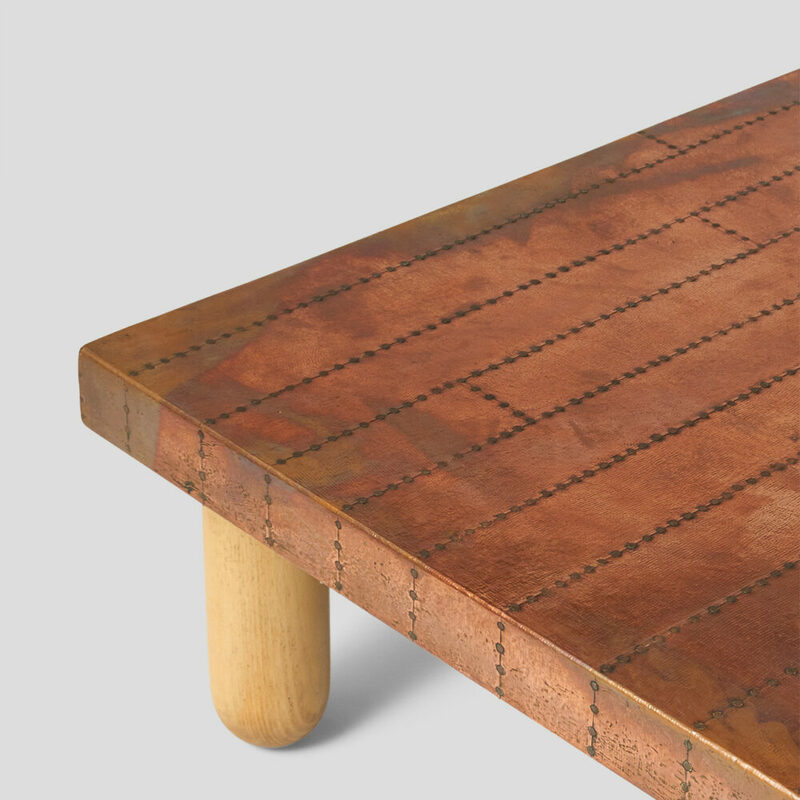 Copper Coffee Table by Lorenzo Burchiellaro. 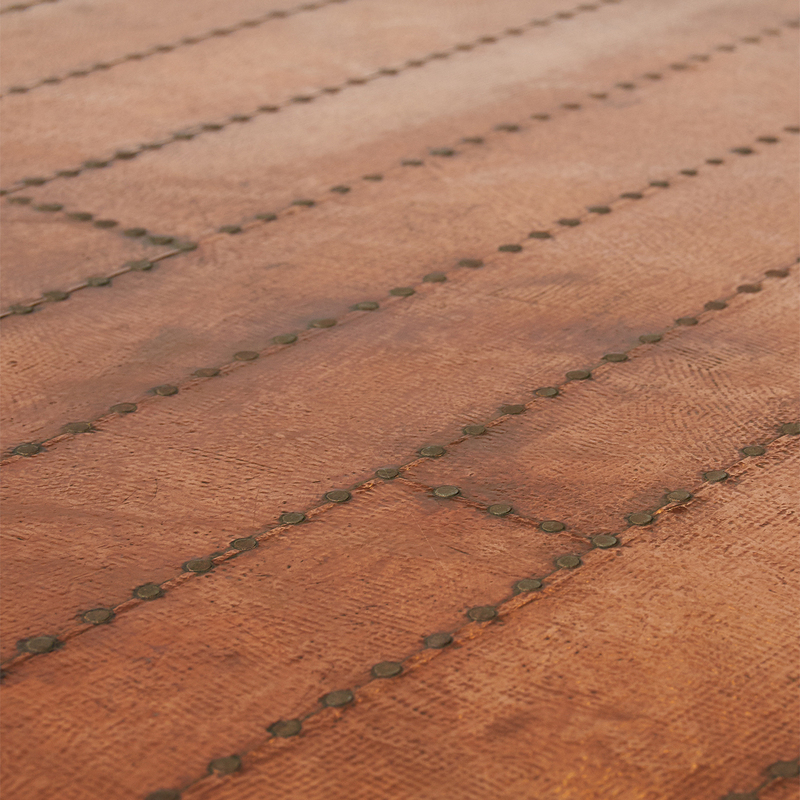 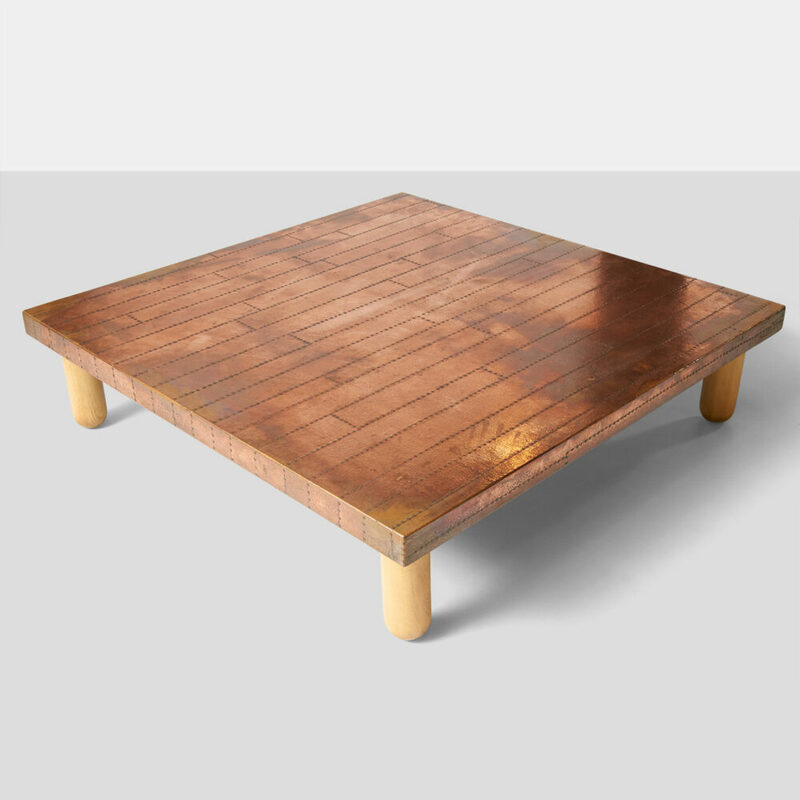 A large coffee table covered and with sheets of patinated copper attached with nail trim in a random plank pattern. 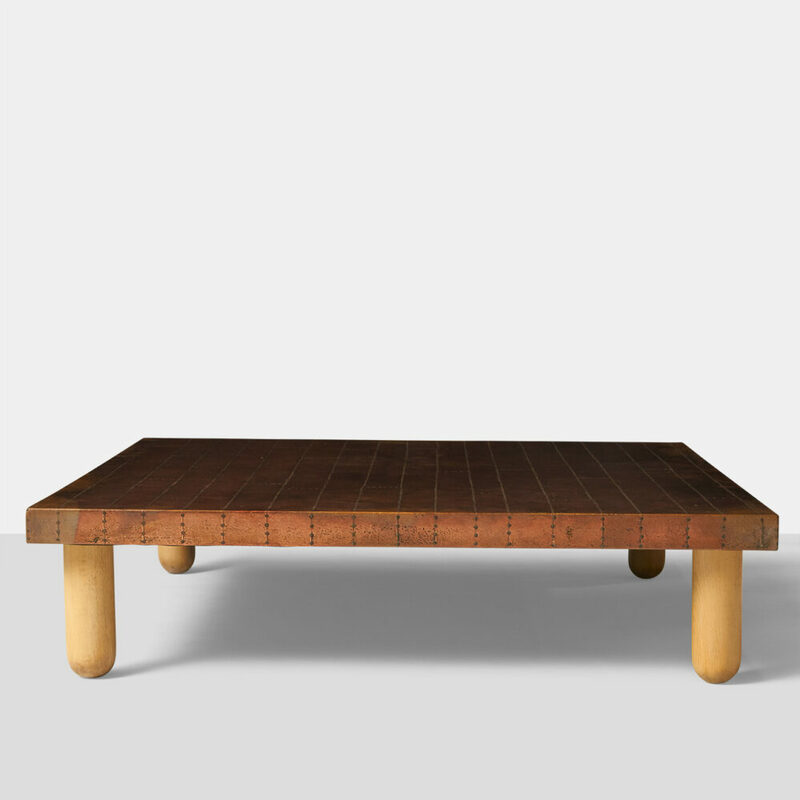 Four beech wood legs and retaining the original signature “Atelier Burchiellaro, measure 70”.